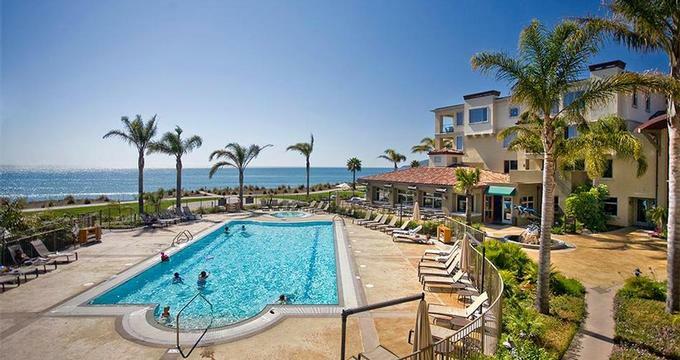 Located on California's Scenic Highway 1, Dolphin Bay Resort is a great getaway from Los Angeles and San Francisco. The resort offers 63 one and two-bedroom villas with kitchens and private entrances. Many guest bedrooms overlook the dramatic Californian coastline. La Bonne Vie Spa offers relaxing massages, facials and other treatments in four treatment rooms. Book ahead of time on peak holiday weekends to make sure that you get the treatment that you are looking for. Browse more great spa getaways. Outdoor activities you can enjoy on your weekend trip include complimentary bicycle rentals with maps of nearby coastal trails, 24-hour fitness center, complimentary DVD and board game rentals with popcorn and hot chocolate, a Bocce Ball Set and Croquet on the ocean-front lawn. If you are planning a couples trip, go for a sunset stroll along Shell Beach. Nearby activities include surfing, kayak rentals, boat tours, sport fishing and whale watching. If you are vacationing with children, the hotel offers a Saturday program for children ages 5 to 12 years featuring a trip to the beach tide pools, arts and games. Lunches and snacks are included. Program runs every Saturday, year-round from 10am-2pm (there is an additional cost). The resort's Lido Restaurant at Dolphin Bay serves California Coastal Cuisine with a seasonally changing menu which incorporates local and organic produce. If you are interested in perfecting your cooking skills, Dolphin Bay has a cooking school. Rates start at $325 per night. Find more ideas and deals.